An accident can result in medical bills, lost wages and emotional, financial and physical pain. When this happens you need a Lancaster personal injury lawyer to help you recover damages. David Azizi is here to help. Call him as soon as possible after an accident at (800) 991-5292. After a personal injury, many victims feel as if they are in a vulnerable situation and should immediately take whatever check the insurance company offers them. Rather than doing this, it is advisable to discuss your case with a Lancaster personal injury attorney. At the Law Offices of David Azizi we offer a free, no-obligation consultation. Call the office today to schedule your case review. If your car was damaged in an accident, it is often necessary to rent a comparable vehicle until yours is repaired. The cost of the rental is included in the case settlement. If you do not have medical or health insurance, your medical care will be compensated by the settlement. There are thousands of questions that can be asked as it relates to personal injuries. Do not hesitate to contact us at any time. We have a team that works nights and weekends as well as during the business day. We recognize accidents often happen during non business hours so we want to be available to you when you have questions. 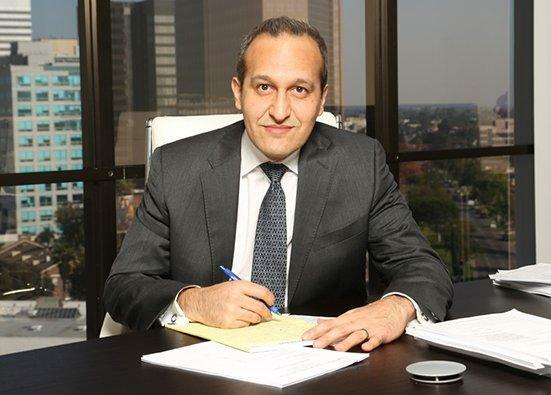 David Azizi has been practicing personal injury law in Southern California for over 21 years. Early in his legal career he was honored as a Rising Star Super Lawyer. Today, he has been named a top-rated California Super Lawyer. He has also been honored by Expertise.com as one of the top 20 personal injury lawyers in Los Angeles. Having helped clients receive over $55 million in compensation for their injuries, David is confident he can win your case. To speak to him directly call 800-991-5292. US Route 138 runs right through the heart of Lancaster, California. This is one of the more traveled roads in this part of the state. Other busy roads, highways and streets in Lancaster include the Sierra Highway, Columbia Way and West Avenue L. With a large number of drivers on the road throughout the day, car accidents are going to happen. Unfortunately, some of these crashes could be avoided. If you have been injured due to the negligence of another driver, contact David today. Premises liability cases are often complex. At the Law Offices of David Azizi we strive to serve you as the most reliable and compassionate personal injury lawyers in the entire state of California. Slip and fall and trip and fall cases are our specialty. If you would like one of the most elite slip and fall lawyers in Los Angeles to help you with your case call us now at 800-991-5292. Lancaster, California, and all of the southern part of the state, offers great opportunities for motorcycle drivers. The weather is beautiful and there are plenty of open roads. Unfortunately, when a motorcycle driver gets into an accident the injuries can be severe. There is very little protection for a motorcycle driver unlike a driver of a car, truck, van or SUV. If you have been injured in a Southern California motorcycle accident and would like legal representation, feel free to contact David at any time. 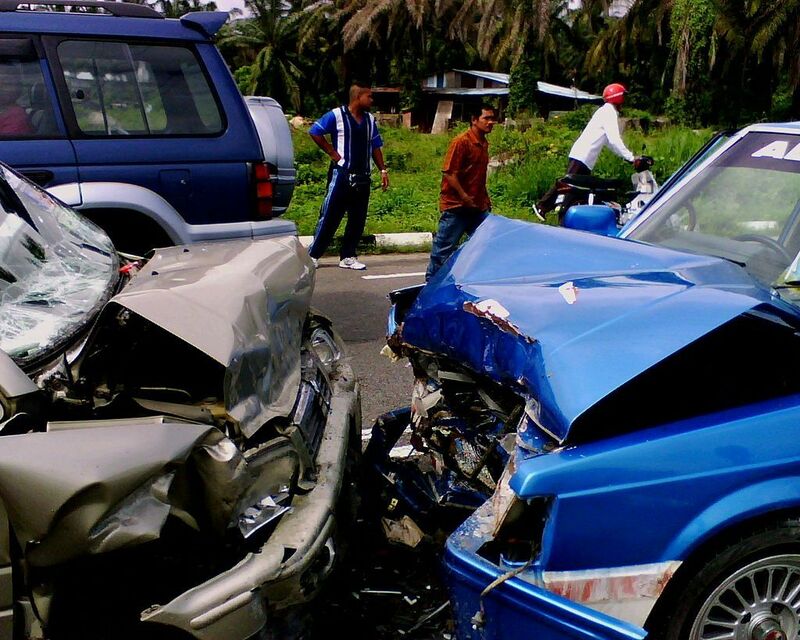 Head-on collisions can be fatal. Even though there are no major interstates in Lancaster, California there are still quite a few 18-wheeler trucks traveling through this part of California, on a daily basis. Eighteen-wheeler trucks can cause major, multi vehicle pile ups with severe injuries or fatalities. If this happened to you or a member of your family, call David as soon as possible. If you have an accident in Lancaster, California, and you are looking for a lawyer to represent you, contact the Law Offices of David Azizi today. Call 800-991-5292 to set up a free case review.